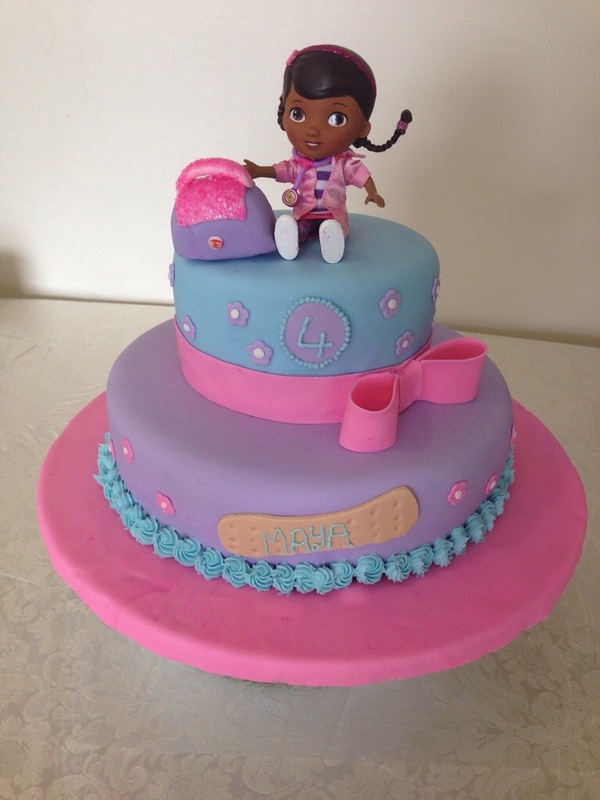 Can’t believe a year has already passed since I made the princess cake for Maya’s third birthday. 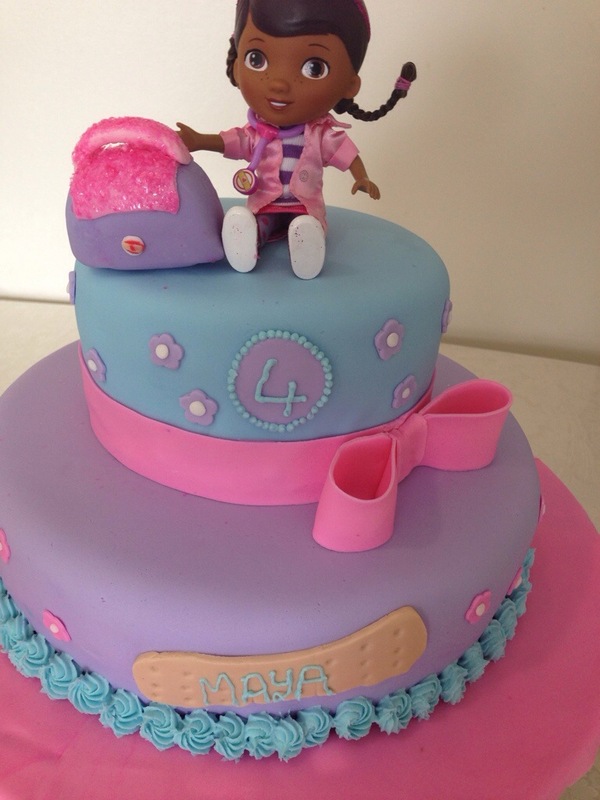 Well, Maya’s already turning four and her mum told me her birthday theme this year is Doc McStuffins. I hadn’t heard of this cartoon before, and only had a week notice to prepare, so I decided to keep it as simple as possible while still getting some of the cartoon’s theme. This mainly included the color theme: purple, blue, and pink as well as the band aid and the bag. 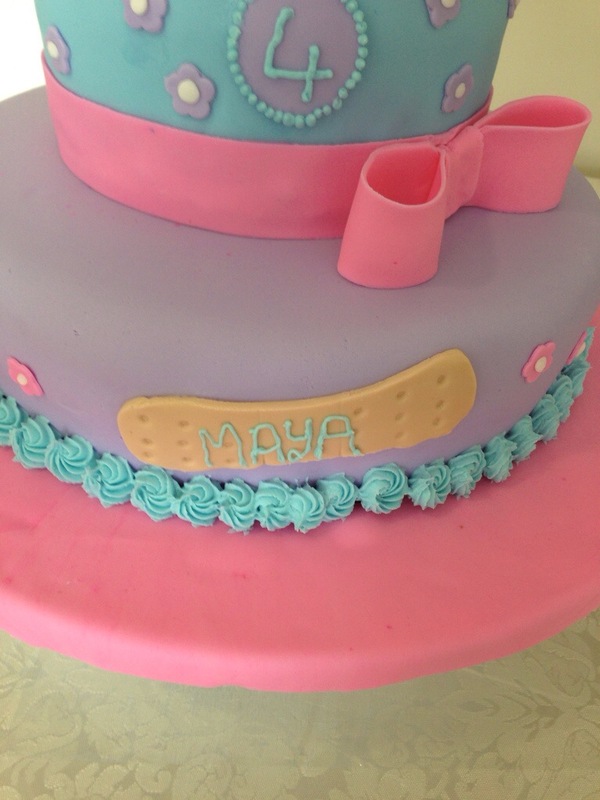 The band aid is made of white fondant mixed with a little brown gel color to get the beige color. I manually shaped the bag and used pink sparkles to get the same glitter effect on the character’s bag. I used a toothpick to stick the bag into the cake. I wanted to try one of those edible cake toppers but they wouldn’t have arrived on time. We resorted to use a real doll instead which looked pretty good for a cake topper. I used two tooth pics hidden under the doll’s coat to keep her in place.